Chemotherapy-induced peripheral neuropathy (CIPN) occurs in approximately 68% of patients who receive neurotoxic chemotherapy and lasts at least 6 months post-chemotherapy in approximately 30% of individuals. CIPN is associated with decreased quality of life and functional impairments. Evidence suggests that CIPN symptoms are caused, in part, by enhanced excitability and impaired inhibition in the central nervous system. Transcutaneous electrical nerve stimulation (TENS) decreases pain by counteracting both of these mechanisms and is efficacious in other conditions associated with neuropathic pain. This single-arm study (n = 29) assessed the feasibility of investigating TENS for CIPN after chemotherapy completion using a wireless, home-based TENS device. Eighty-one percent of eligible patients who were approached enrolled, and 85% of participants who received the TENS device completed the primary (6-week) study term. Qualitative interview data suggest that use of the device on the continuous setting that automatically alternates between 1-h stimulation and rest periods for 5 h/day would be acceptable to most participants. Significant (i.e., p < 0.05) improvements were observed with the EORTC-CIPN20 (percent change from baseline: 13%), SF-MPQ-2 (52%), numeric rating scale of pain (38%), tingling (30%), numbness (20%), and cramping (53%), and UENS large fiber sensation subscore (48%). 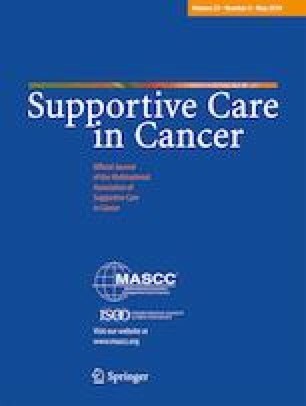 Preliminary data that support the reliability and construct validity of the UENS for CIPN in cancer survivors are also provided. Together these data suggest that it is feasible to evaluate TENS for CIPN using a wireless, home-based device and that further evaluation of TENS for CIPN in a randomized clinical trial is warranted. We thank the patients for participating in our study. We thank Charles Heckler, PhD, for the assistance with the ICC calculations. Neurometrix provided the devices and partial financial support for the research assistant’s effort. The Department of Anesthesiology and Perioperative Medicine provided supplemental funds to support the conduct of the trial. The University of Rochester Cancer Center NCI Community Oncology Research Program pilot award provided funds for the equipment to assess neuropathy signs. Neurometrix provided the devices and electrodes for this investigator-initiated study and funds to support the conduct of the trial. The authors had complete control over the development of the protocol, conduct of the study, and publication of the results. Neurometrix was provided a copy of the manuscript prior to submission for publication, but did not provide any input on the manuscript.